If you’ve read Part 1 of my article you’ll recall that sugar is found almost everywhere and it’s important to limit your intake if you want to get the best results from your training. 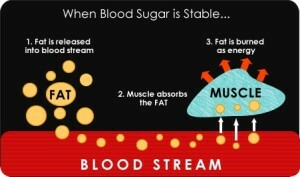 To understand the basics of how sugar responds in the body I’m going to break it down into steps. 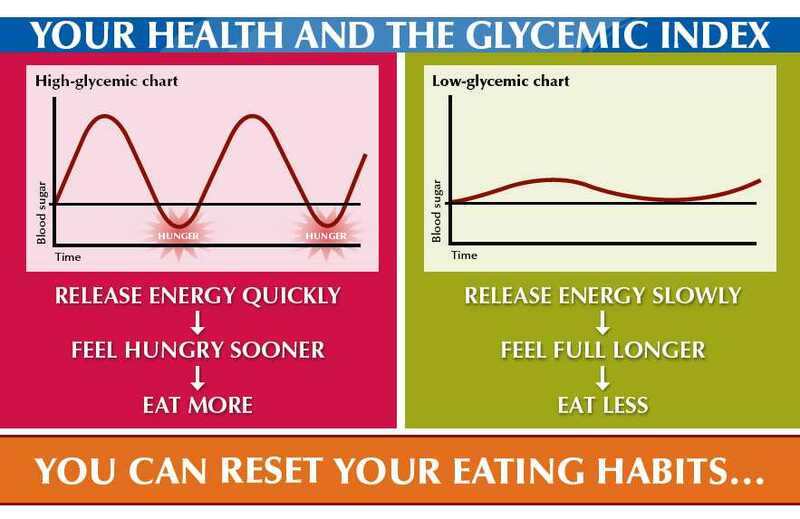 Firstly, when you consume any type of carbohydrates (ie, bread, rice, fruit, crackers, etc) your body will break it down to its smallest components, sugar (or glucose) for digestion. 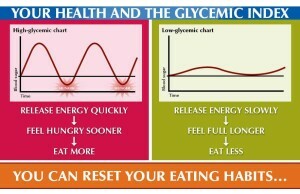 Once you have any type of carbohydrate there will be a response in your body that releases a hormone called insulin. Insulin will basically open up ‘doors’ so to speak to provide the nutrients (vitamins, sugar, etc) from that specific carbohydrate (think oatmeal) into your muscles, liver, and possibly fat cells (I’ll explain in a bit). Anything you consume will have a rank in terms of how fast the glucose (same thing as sugar) gets into those cells (muscles, liver, and perhaps fat – depending on if you over consume calories in one sitting). This type of rank is referred to as the GI index (or glycemic index). The higher that number is, the faster the food will get into your cells. For instance, if you have a bowl of oatmeal you will get a slow, steady flow of those nutrients and sugar into your body you’ll have a good stream of energy for 2-3 hours. On the other hand if you had some toast and jam instead, watch out, – you’ll have a quick spike in energy and insulin and then feel hungry shortly after and probably even tired. Oatmeal has a GI of 55 or so, and is considered a low GI food (what we want when selecting carbohydrate choices) whereas white bread is quite high at around 100. Now that we covered insulin and how it works, why then do we want to control it? There’s a few reasons but since we’re talking about fitness gains and how to maximize your gym efforts, I’m going to emphasize what too much sugar can cause. The body can hold onto only so many calories before it starts to convert any extra calories as fat. They say roughly 3-4x your bodyweight can be stored in your muscles and liver. Of course that depends on how muscle you have but for the most part let’s go with 3x your bodyweight. Anything extra will get stored as fat. So if you’re looking to lose fat and inches we want to avoid consuming excess carbohydrates otherwise you will just be burning sugar from the extra calories and not fat off of your frame. There are a few ways to do this; some people like to cycle their carbohydrate intake, while others have a set amount every day (among a choice of options). I personally love my pizza and cookies so I will cycle my carbs to treat myself on the weekend – this way I don’t feel deprived, stay on track during the week, and enjoy my treats at the end of the week. It’s a great way to stay focused and hit your goals Sunday through Friday. The important part is to manage your intake so you are getting enough in to fuel your brain (brain needs roughly 50 grams just to function normally) and your muscles to still put in good effort while working out and performing day-to-day activities. If you really don’t know what you should be consuming based on your goals, fitness activity level, or just tired of following random diets and not getting closer to your goals please contact us and we can set up an eating plan specific for you. In Part 3 of this article series I will discuss fruit and how too much can still cause diabetes and health problems. And how to enjoy your fruit without the potential adverse effects.